Hensen, C., Duarte, J. C., Vannucchi, P., Mazzini, A., Lever, M. A., Terrinha, P. G., Géli, L., Henry, P., Villinger, H., Morgan, J., Schmidt, M., Gutscher, M.-A., Bartolome, R., Tomonaga, Y., Polonia, A., Gracia, E., Tinivella, U., Lupi, M., Cagatay, M. N., Elvert, M., Sakellariou, D., Matias, L., Kipfer, R., Karageorgis, A. P., Ruffine, L., Liebetrau, V., Pierre, C., Schmidt, C., Batista, L., Gasperini, L., Burwicz, E., Neres, M., & Nuzzo, M. (2019). Marine transform faults and fracture zones: a new perspective integrating seismicity, fluid flow and life, Front. Earth Sci., 7, 39, doi:10.3389/feart.2019.00039. The manuscript is a joint effort of the scientists involved in the COST Action ES1301 – Impact of Fluid circulation in old oceanic Lithosphere on the seismicity of transfOrm-type plate boundaries: neW solutions for early seismic monitoring of major European Seismogenic zones (FLOWS). 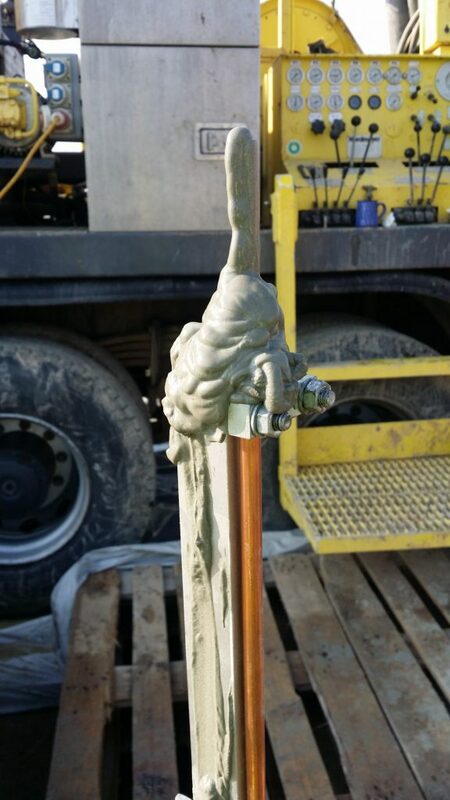 The drilling in Trüllikon-Rudolfingen (Canton Zurich) started under perfect weather conditions. The fine-grained lacustrine sediment layer is as thick as expected. Therefore, the collection of samples for noble-gas analysis was straightforward. An artificial mud volcano in the Swiss Midland. Nuzzo, M., Tomonaga, Y., Schmidt, M., Valadares, V., Faber, E., Piñero, E., Reitz, A., Haeckel, M., Tyroller, L., Godinho, E., Kipfer, R., Terrinha, P.G., & Hensen, C. (2019). 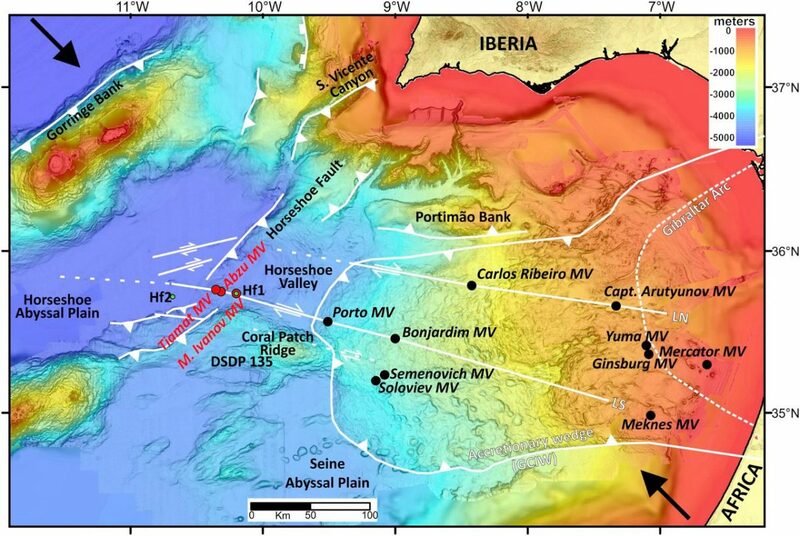 Formation and migration of hydrocarbons in deeply buried sediments of the Gulf of Cadiz convergent plate boundary – Insights from the hydrocarbon and helium isotope geochemistry of mud volcano fluids. Mar. Geol.,410, 56–69 doi:10.1016/j.margeo.2019.01.005. Clay dehydration water expelled from buried sediments drives mud volcanism. Rise of fluids mediated by crustal-scale strike-slip faults cross-cutting wedge. 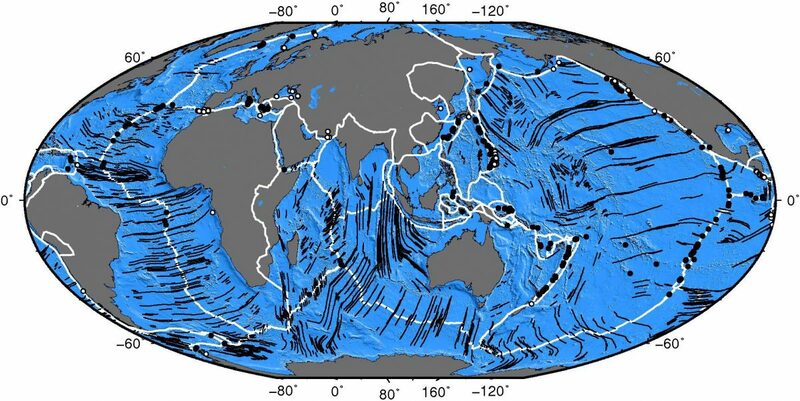 On active accretionary wedge, petroleum accumulations were dismantled in Neogene. 4He enrichment and δ13C-CH4 ~−50‰ in fluids reflect an open hydrocarbon system. Petroleum pools remain on shallow margin. Microbial gas vented out of active wedge. Here you can download the manuscript for free until March 13th, 2019.